Singapore, officially the Republic of Singapore, is the world’s only sovereign city-state that is also an island country. 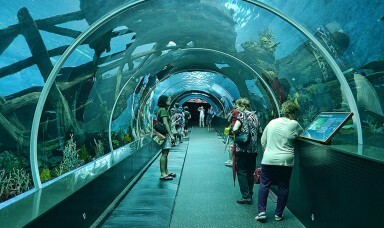 It lies in Southeast Asia off the southern tip of the Malay Peninsula and 137 kilometres (85 mi) north of the equator. Made up of the lozenge-shaped main island (widely known as Singapore Island but also as Pulau Ujong, its native Malay name) and over 60 much smaller islets, it is separated from Peninsular Malaysia by the Straits of Johor to its north and from Indonesia’s Riau Islands by the Singapore Strait to its south. The country is highly urbanised, with very little primary rainforest remaining. Its territory has consistently expanded through land reclamation. 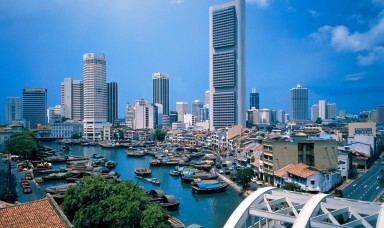 Singapore consists of 63 islands, including the main island, widely known as Singapore Island but also as Pulau Ujong. There are two man-made connections to Johor, Malaysia: the Johor–Singapore Causeway in the north, and the Tuas Second Link in the west. Jurong Island, Pulau Tekong, Pulau Ubin and Sentosa are the largest of Singapore’s smaller islands. The highest natural point is Bukit Timah Hill at 166 m (545 ft). 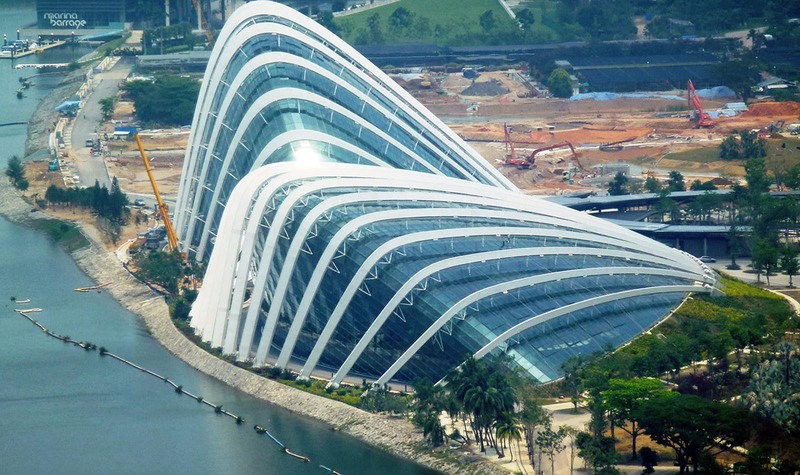 There are ongoing land reclamation projects, which have increased Singapore’s land area from 581.5 km2 (224.5 sq mi) in the 1960s to 704 km2 (272 sq mi) today; it may grow by another 100 km2 (40 sq mi) by 2030. Some projects involve merging smaller islands through land reclamation to form larger, more functional islands, as with Jurong Island. 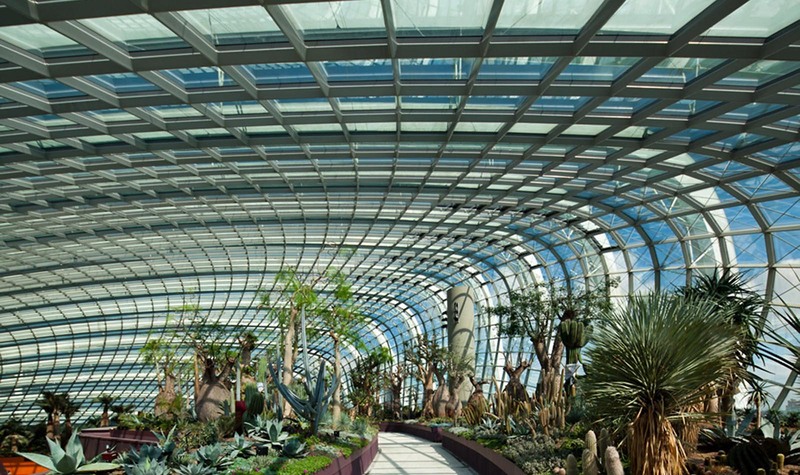 5% of Singapore’s land is set aside as nature reserves. Urbanisation has eliminated most primary rainforest on the main island, Bukit Timah Nature Reserve being the only significant remaining forest. 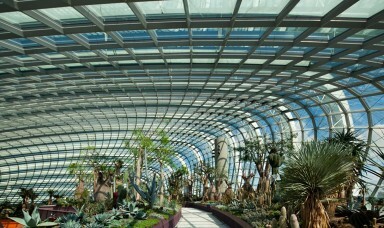 There are only about 250 acres (101 ha) of farmland remaining in Singapore. As of 2012, the population of Singapore is 5.312 million people, of whom 3.285 million (62%) are citizens while the rest (38%) are permanent residents or foreign workers/students. 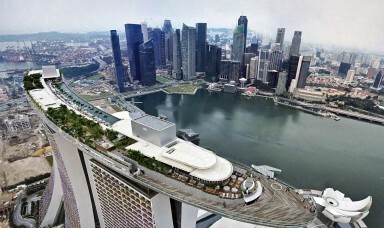 Twenty-three percent of Singaporean citizens were born outside Singapore (i.e. foreign born citizens). 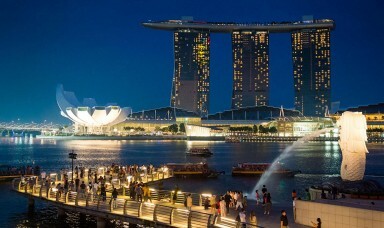 There are half a million permanent residents in Singapore in 2012. The resident population does not take into account the 11 million transient visitors who visit Singapore annually. The median age of Singaporeans is 37 years old and the average household size is 3.5 persons. Due to scarcity of land, four out of five Singaporeans live in subsidised, high-rise, public housing apartments known as Housing and Development Board (HDB) flats, after the board responsible for public housing in the country. Live-in domestic helpers are quite common in Singapore and there are nearly 200,000 domestic helpers there. In 2010, three quarters of Singaporean residents live in properties that are equal to or larger than a four-room HDB flat or in private housing. Home ownership rate is at 87.2%. Mobile phone penetration rate is extremely high at 1,400 mobile phone subscribers per 1000 people. Around 1 in 10 residents owns a car. The total fertility rate is estimated to be .79 children per woman in 2013, the lowest in the world and well below the 2.1 needed to replace the population. To overcome this problem, the Singapore government has been encouraging foreigners to immigrate to Singapore for the past few decades. The large number of immigrants has kept Singapore’s population from declining. Singapore traditionally has one of the lowest unemployment rates among developed countries. The Singaporean unemployment rate has not exceeded 4% in the past decade, hitting a high of 3% during the 2009 global financial crisis and falling to 1.9% in 2011. 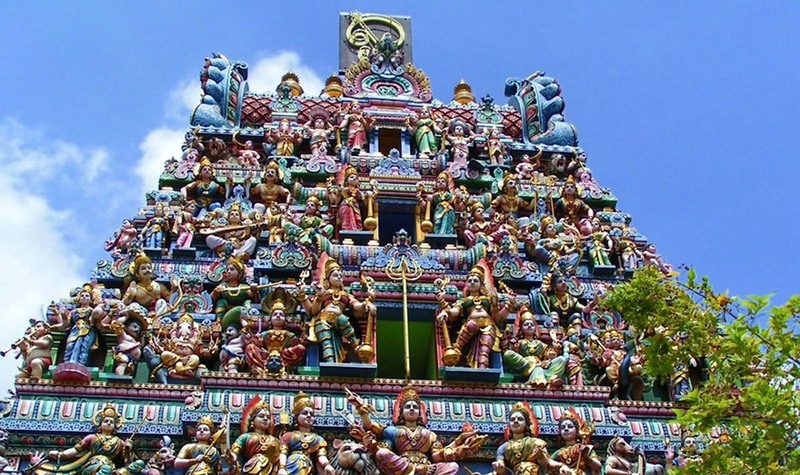 As of 2009, about 40% of Singapore’s residents were foreigners, one of the highest percentage in the world. The government is considering capping these workers, although it has been recognised that they are crucial to the country’s economy, as foreign workers make up 80% of the construction industry and up to 50% of the service industry. In 2009, the government census reports that 74.2% of residents were of Chinese, 13.4% of Malay, and 9.2% of Indian descent, while Eurasians and other groups form 3.2%. Prior to 2010, each person could register as a member of only one race, by default that of his or her father, therefore, mixed-race persons were solely grouped under their father’s race in government censuses. From 2010 onward, people may register using a “double-barrelled” classification, in which they may choose one primary race and one secondary race, but no more than two. Before independence in 1965, Singapore was the capital of the British Straits Settlements, a Crown Colony. It was also the main British naval base in East Asia. Because of its status as the main British naval base in the region, as well as hosting the largest dry dock in the world at that time in the form of the Singapore Naval Base, it was described in the press as the ‘Gibraltar of the East’. The opening of the Suez Canal in 1869 caused global trade to boom, and Singapore became a major world trade node, and the Port of Singapore became one of the largest and busiest ports in the world. Before independence in 1965, Singapore had a GDP per capita of $511, then the third-highest in East Asia. After independence, foreign direct investment and a state-led drive for industrialisation based on plans by Goh Keng Swee and Albert Winsemius created a modern economy. 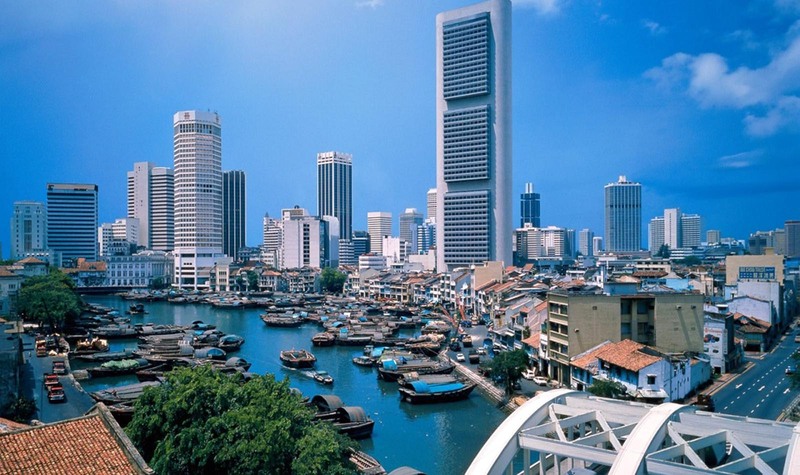 Today, Singapore has a highly developed market-based economy, based historically on extended entrepôt trade. 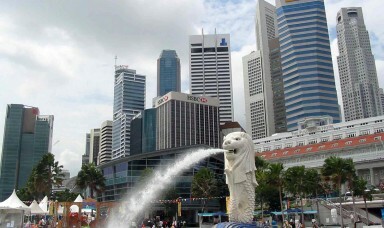 Along with Hong Kong, South Korea and Taiwan, Singapore is one of the original Four Asian Tigers. The Singaporean economy is known as one of the freest, most innovative, most competitive, and most business-friendly. 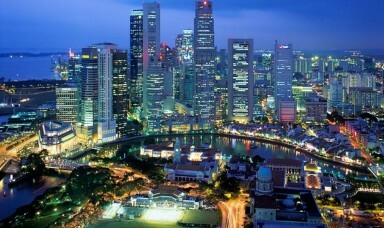 The 2011 Index of Economic Freedom ranks Singapore as the second freest economy in the world, behind Hong Kong. According to the Corruption Perceptions Index, Singapore is consistently ranked as one of the least corrupt countries in the world, along with New Zealand and the Scandinavian countries. 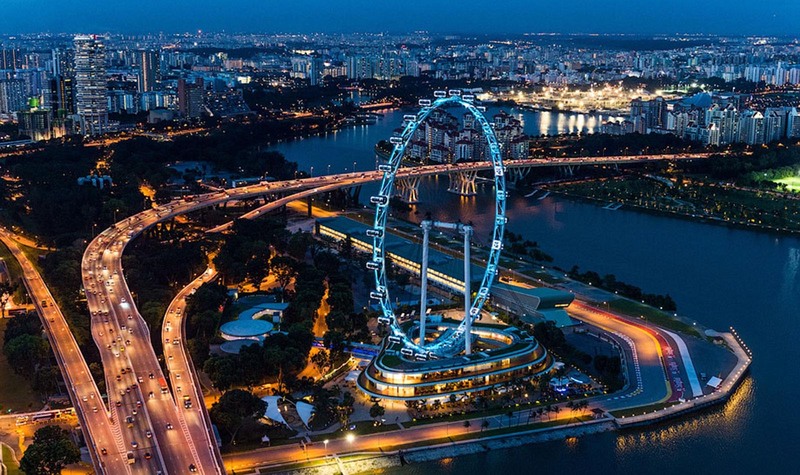 Singapore is the 14th largest exporter and the 15th largest importer in the world. The country has the highest trade-to-GDP ratio in the world at 407.9 percent, signifying the importance of trade to its economy. The country is currently the only Asian country to have AAA credit ratings from all three major credit rating agencies; Standard & Poor’s, Moody’s, and Fitch. Singapore attracts a large amount of foreign direct investment as a result of its location, corruption-free environment, skilled workforce, low tax rates and advanced infrastructure. There are more than 7,000 multinational corporations from the United States, Japan, and Europe in Singapore. There are also 1,500 companies from China and 1,500 from India. Foreign firms are found in almost all sectors of the economy. Singapore is also the second largest foreign investor in India. Roughly 44 percent of the Singaporean workforce is made up of non-Singaporeans. Over ten free trade agreements have been signed with other countries and regions. Singapore also possesses the world’s eleventh largest foreign reserves, and is rated top in terms of net international investment position per capita. The currency of Singapore is the Singapore dollar, issued by the Monetary Authority of Singapore. It is interchangeable with the Brunei dollar. In recent years, the country has been identified as an increasingly popular tax haven for the wealthy due to the low tax rate on personal income, a full tax exemption on income that is generated outside of Singapore and legislation that means that capital gains are also tax exempt. Australian millionaire retailer Brett Blundy, with an estimated personal wealth worth AU$835 million, and multi-billionaire Facebook co-founder Eduardo Saverin are two examples of wealthy individuals who have settled in Singapore (Blundy in 2013 and Saverin in 2012). Singapore ranked fifth place on the Tax Justice Network’s 2013 Financial Secrecy Index of the world’s top tax havens, scoring narrowly ahead of the United States. 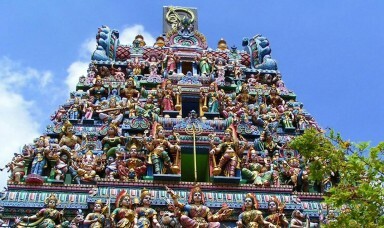 Foreigners also make up 42% of the population and have a strong influence on Singaporean culture. A.T. Kearney named Singapore the most globalised country in the world in 2006 in its Globalization Index. The Economist Intelligence Unit in its “Quality-of-Life Index” ranks Singapore as having the best quality of life in Asia and eleventh overall in the world.